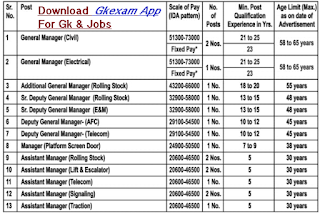 Home » RAILWAY JOB » Metro-Link Express (MEGA) Recruitment Various Posts 2018. 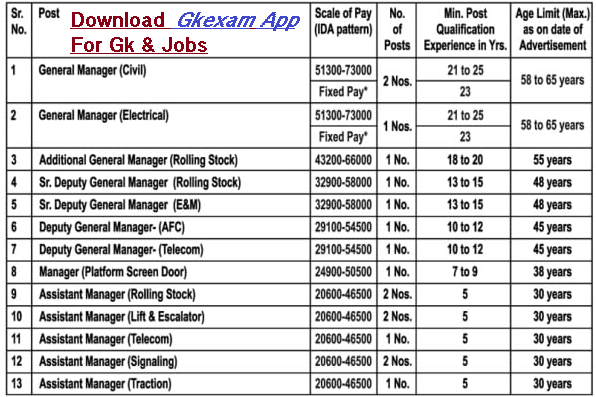 Metro-Link Express (MEGA) Recruitment Various Posts 2018. Apart from the pay, other benefits will also be paid as per the Company Policy. Age may be relaxed for exceptional candidates having relevant experience in Metro Rail Project. Educational Qualification & Other Details: Please Read Official Notification. How to Apply: Interested and Eligible Candidates may Send ApplicationGeven Below.